We fish all year long mostly in the San Juan Below the hot springs in town. If you haven’t fished there it’s worth giving it a try you may be surprised!! The water stays at pretty good temperatures throughout the winter . If you feel that it’s just not for you to fish in town you can always go down to the San Juan below Navajo Dam in New Mexico where the fishing is always on 365 days a year. 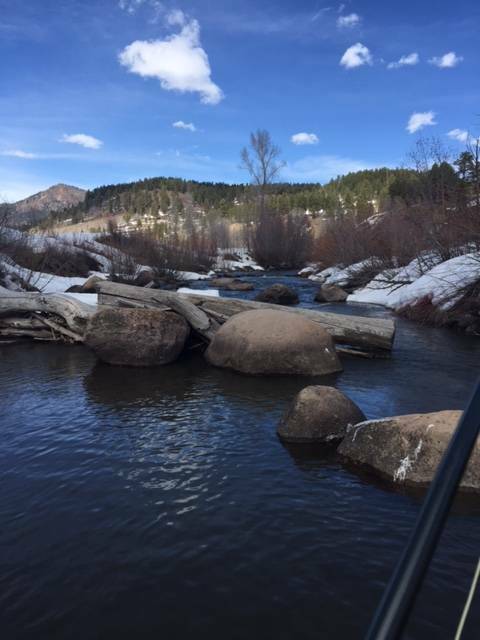 Fishing is good up on Williams Creek as well as the Piedra. These two are a little off color but throwing some weighted nymphs to get to the bottom of the holes have produced some nice browns! going is a little tough till you get to the river we still have about 2 feet of snow along the river so best to find a place to wade in then walk in the river. So get out now before the runoff starts. Best flies are some European patterns we have in the shop, Spectra 94 Pheasant tail, Tricolor tied on a Jig Hook, Black Nymph with Orange Bead and Pheasant Tail with Red Tip. 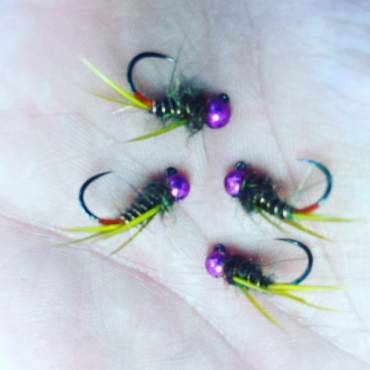 All these nymphs are tied using tungsten beads so there is no need to throw weight. Well after the recent warm temps the Williams creek and upper Piedra have come up and have started into full runoff mode, with that said fishing is going to be tuff. Well here in Pagosa It’s rafting time on the San Juan, flows have been steadily on the rise as of today 3/18/2017 the flows are 964 cfs. So dust off the raft and have fun floating the river! The lakes in Pagosa Springs are opening up! This is one of the best times of the year to fish the lakes after ice out. Use a black, brown, green buggers trailed with a black spectra nymph, red tag cdc champion, rubber leg hares ear. The trailers should be about 2 feet behind the buggers vary your retrieve and depth till you find where the fish are feeding. Please remember if fishing the PLPOA lakes that you need a separate License issued by the association. Dave, I’m planning a trip to the area in Sept or Oct. or both. Heard the Chama is down to a trickle. What about the Navajo, Piedra, Upper SAn Juan, Williams Cr., etc. am I wasting my time? Maybe some lake fishing? Yes the Chama is extremely low and there was a fish kill. All our rivers are low as well. The upper parts of the rivers are ok but the lower sections are getting warm by 11am.